Bitcoin is showing no signs of slowing down, blowing past US$9 000 less than a week after topping $8 000 and now quickly closing in on five big figures. 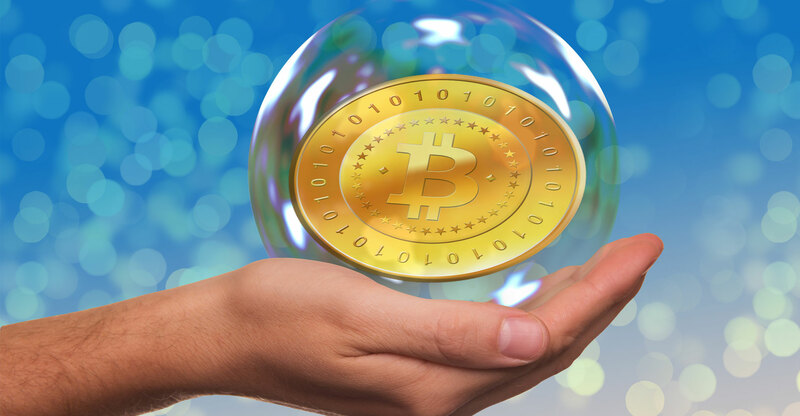 The price of the largest cryptocurrency by market value is soaring as it gains greater mainstream attention despite warnings of a bubble in what not everyone agrees is an asset. From Wall Street executives to venture capitalists, observers have been weighing in, with some more sceptical than others. Bitcoin has climbed more than 40% over the past two weeks. “Bitcoin has seen another frenzy of buying as the fear of missing out trade bites even harder,” analysts at IG Group, a trading-platform operator, wrote in a note on Monday. “There are others who see downside risks from the introduction of bitcoin futures,” they wrote. The surge has swept along individual investors. The number of accounts at Coinbase, one of the largest platforms for trading bitcoin and rival ethereum, has almost tripled to 13m in the past year, according to Bespoke Investment Group. Bitcoin climbed as high as a record $9 720.95 on Monday, and was recently up about 16% compared to trading late on Friday. The rapid appreciation has made it difficult for bullish analysts and investors to keep their predictions up to date. Hedge fund manager Mike Novogratz, who is starting a $500m fund to invest in cryptocurrencies, said last week that bitcoin would end the year at $10 000. A day later, Fundstrat head of research Thomas Lee doubled his price target to $11 500 by the middle of 2018. Bitcoin’s surge in value is forcing Wall Street banks to balance clients’ interest in speculating on the cryptocurrency with executives’ scepticism about its future. JPMorgan Chase CEO Jamie Dimon has been one of bitcoin’s most prominent detractors, calling it a fraud and deriding buyers as “stupid”, while his finance chief, Marianne Lake, has struck a more measured tone. The firm is “open minded” to the potential uses for digital currencies so long as they are properly regulated, she said last month.